Leave it to Ellen DeGeneres to cheer everyone up! The beloved comedian offered America a message of hope after Donald Trump’s election win over Hillary Clinton left the country deeply divided. 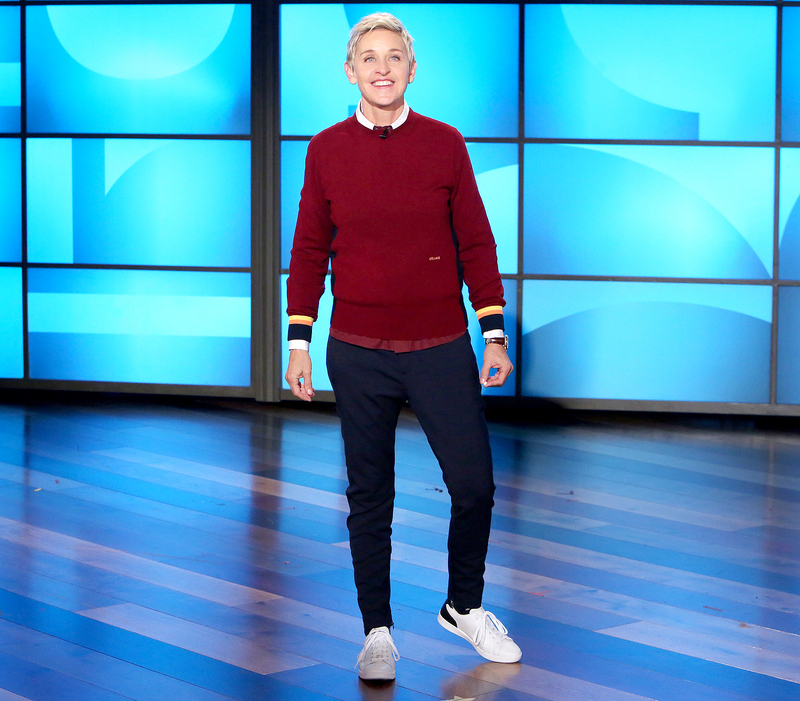 Ellen DeGeneres Michael Rozman/Warner Bros. Naturally, her silly side came out too, and she also quoted Kanye West’s “Guilt Trip” lyrics. "I think that is a beautiful thing, and I believe you should also remember what Kanye West once said: &apos;Blocka, blocka, blocka, blocka, pour a little champagne, cranberry vodka,’” she quipped.